We are finally home from our trip. We were gone for 29 days, 27 of them in Europe. I'm exhausted. I need a vacation from my vacation. Actually, going back to work will require less daily effort than the vacation did. I'll write about that in the future - all the walking (3-7 miles PER DAY!) and the 13 pounds I lost even with all the insane eating we did. Ed, on the other hand, didn't seem to have enough physical activity on the trip and decided to do the 36th Annual El Tour de Tucson cycling event a few days after he returned home. He hadn't done any training, had barely touched his bicycle in months, and claimed the training he did in Europe - drinking beer in eight countries, enjoying cocktails nightly on the river cruise (15 of the 27 nights), walking across cobblestones, and clocking some last minute miles to accompany my short shopping trip to the Grand Bazaar in Istanbul - was what got him ready for the 52-mile ride he signed up for. 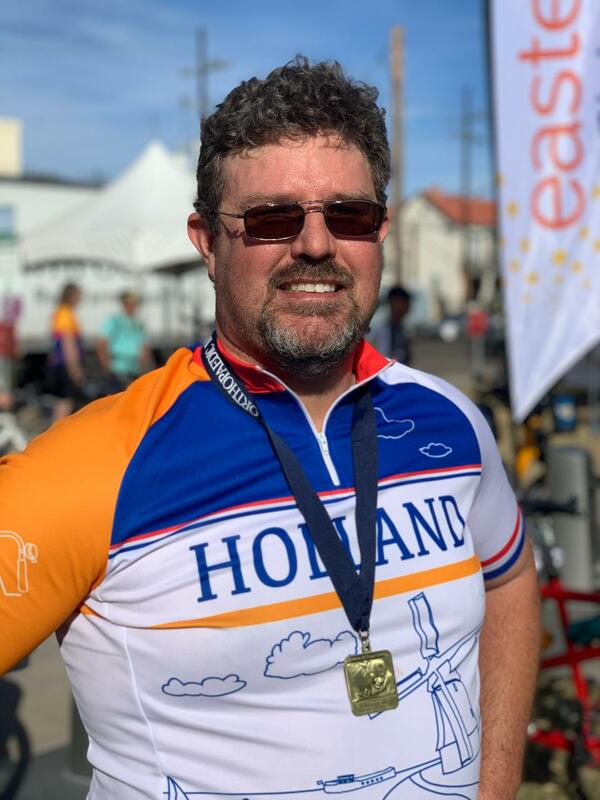 He proudly wore his new bicycle jersey - representing Holland (windmill front and center) - that he bought in Amsterdam, a city with almost a million bicycles. They have more bikes than people. He did the ride with our neighbor, John. They both said this year the ride was tough. It was a slightly different course, and they both complained about one uphill stretch. Halfway through Ed said his legs were really aching, but he pushed forward and came in about 20 minutes after John (who had a bit of a lead at the beginning of the ride). I guess all the beer, wine, and French baguettes during training did Ed a world of good.